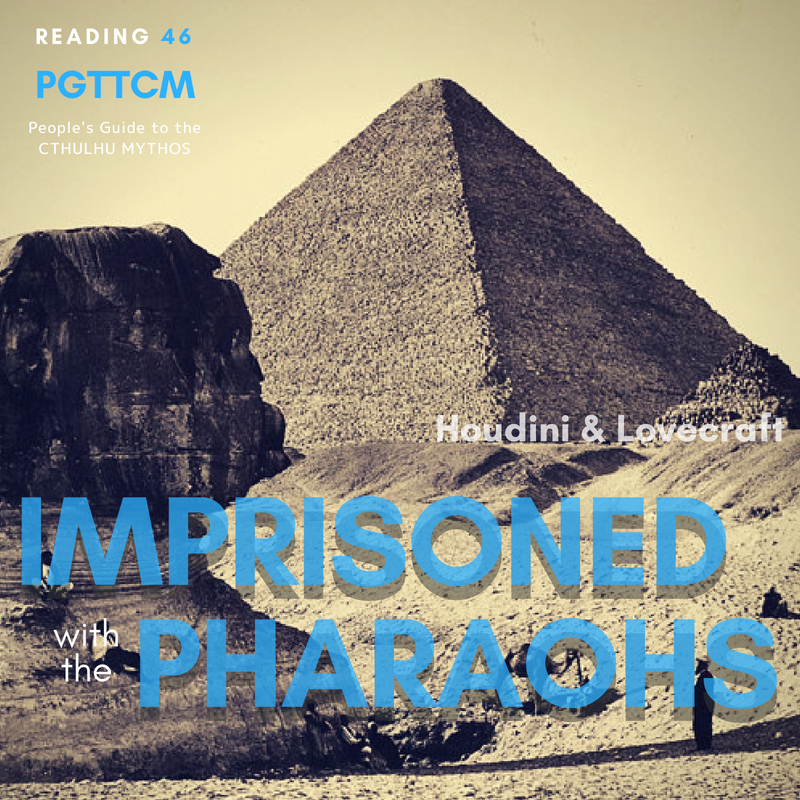 “Imprisoned with the Pharaohs” (called “Under the Pyramids” in draft form, also published as “Entombed with the Pharaohs“) is a short story written by American fantasy author H. P. Lovecraft in February 1924. Commissioned by Weird Tales founder and owner J. C. Henneberger, the narrative tells a fictionalized account in the first-person perspective of an allegedly true experience of escape artist Harry Houdini. Set in 1910, in Egypt, Houdini finds himself kidnapped by a tour guide, who resembles an ancient pharaoh, and thrown down a deep hole near the Great Sphinx of Giza. While attempting to find his way out, he stumbles upon a gigantic ceremonial cavern and encounters the real-life deity that inspired the building of the Sphinx. Lovecraft accepted the job because of the money he was offered in advance by Henneberg. The result was published in the May–June–July 1924 edition of Weird Tales, although it was credited solely to Houdini until the 1939 reprint. Despite Lovecraft’s use of artistic license, Houdini enjoyed the tale and the two men collaborated on several smaller projects prior to the latter’s death in 1926. “Imprisoned with the Pharaohs” has been suggested as an early influence on author Robert Bloch and as anticipating the cosmic themes in Lovecraft’s later work, including “The Shunned House“.